The ants do not pose a physical risk, but can carry harmful bacteria should they come in contact with food and surfaces. 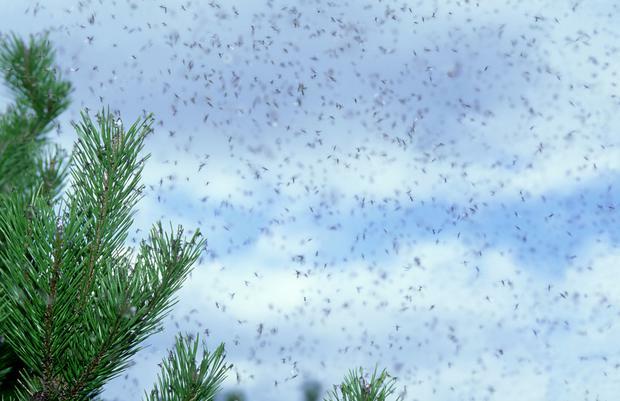 The grey skies and close weather has provided the ideal conditions for huge swarms of flying ants, which will invade residences across the country this July. Pest control companies across the capital have reported a huge increase in the number of callouts to cope with flying ant infestations, as home owners struggle to cope with colonies of airbourne creatures invading their homes. A spokesperson from Dublin-based pest control company Orkin said that the number of callouts to address flying ant swarms has doubled in recent weeks as the creatures move into their mating season. David Sheridan, Sales and Service Manager at Orkin told Independent.ie: “In the last two or three weeks, call outs to handle numbers of flying ants has just about doubled. The weather this summer has a lot to do with it, last summer wasn’t as bad, but in 2014, we had similar conditions and callouts. The weather has a major impact. 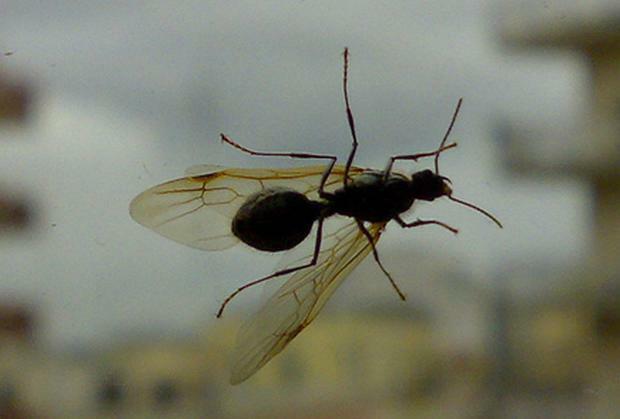 “Flying ants are moving into their mating season as well which means that they’ll leave the colony together. They mate in the air, and afterwards the male dies off. The female then returns to the nest to lay her eggs,” he said. The pest control expert revealed that the insects will thrive in moderate temperatures, wherever there is a food and water source. “They seem to build their nests beneath paving areas and pathways. They like temperatures to me not too warm, but not too cold either. If they have easy access to a food and water source, colonies will thrive,” he said. The company battles against the creatures by laying down a gel base, which is consumed by the ants when they are away from the nest and regurgitated upon their return, which kills the swarms of pests. Rentokil’s Advanced Technical Field Consultant Richard Faulkner offered advice to help avoid an infestation, or to at least keep the numbers of ants at bay. Orkin’s sales and service manager David Sheridan revealed that those not affected by the flying ant invasion should not rest easy either, as wasp season is just around the corner and set to peak in August.